Two earthquakes, of 4.2 and 3.0 in magnitude, have occurred 80 kilometers to the north of Los Angeles, generating over a dozen aftershocks. The first tremor shook the area at about 7:00 pm local time on Saturday (3:00 am GMT on Sunday). 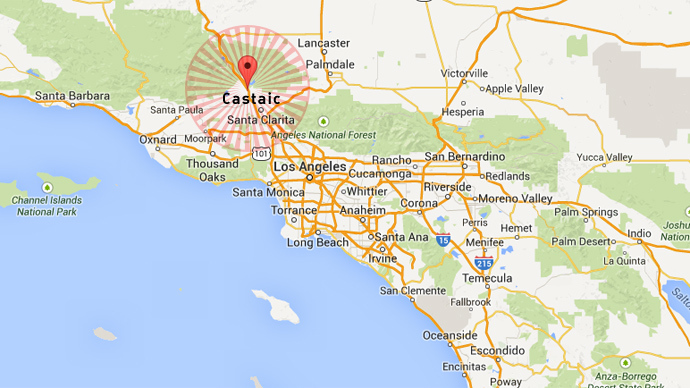 It occurred 13 kilometers from the town of Castaic, and was reported to be a foreshock to the second tremor. It happened at 7:18 pm local time on Saturday (3:18 am GMT on Sunday), about 10 kilometers from the town of Castaic and 80 kilometers from Los Angeles, the US Geological Survey reported. Initially, the magnitude of the second tremor was reported at 4.5. It generated over a dozen aftershocks, USGS seismologist Lucy Jones told CBS. No damage or injuries have been reported after the tremors. All these little earthquakes in Castaic are starting to scare me. May God have mercy on all of us. Over the last 10 days, there has been three quakes of magnitude 3.0 or more in the area, The Times stated. The northern Los Angeles quakes came hours after a 4.9-magnitude earthquake had shaken a large swath of central Idaho. The epicenter of the quake, followed by two aftershocks, was recorded 6.5 kilometers from the town of Challis, according to the US Geological Survey. The Idaho quake caused no injuries, but resulted in rock slides, damaged homes and knocked out power around Custer County, Reuters cited local officials as saying.